When I first sat down to write this post a few months ago, I couldn’t help but feel those odd, yet sometimes wondrous feelings of déjà vu. It seems the late summer transition into fall has always brought to me new challenges and significant change in my life. This year was no exception. It is telling that I am just now finishing this post; the past few months of “change” have been quite busy and to be honest, I had a difficult time finding the right words to fully capture all that occurred. Forgive me, this is going to be long but perhaps the most personal post I’ve written. 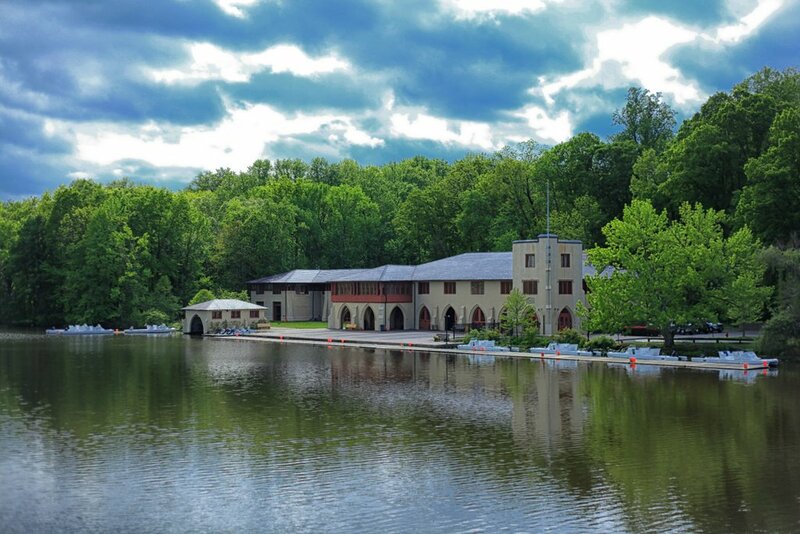 Princeton Boathouse. Courtesy of Aaron Cropper. Boom. Life-changing step and I’m on my way to living the dream. In late October of 2011, I packed up what I needed and made the move away from my full-time job and promising start to a career at ESPN, close friends, and a comfortable home in Connecticut, to a dusty one-bedroom sublet in Princeton. For most elite female and aspiring National Team rowers, this is the ticket. The cut to becoming one of the 20-25 athletes training in Princeton is a tough one to make. Beyond this initial huge and difficult step lies an even greater one. Not everyone at the Training Center is guaranteed a spot on the National Team. Many will come through the system not having ever made a boat. As with any athletic pursuit at this level, your time is limited, everyone is replaceable and nothing is ever guaranteed. For some, the opportunities are plentiful, and for others, you might have to fight for the one chance you’re going to get. Looking back on the 2013 season, I would say it was an overall positive experience. Going into the year, my goals were to continue to improve each day, stay healthy, and perform well enough to make my first National Team. Of course there are other smaller goals along the way, but this was the general intended outcome. After dealing with another rib injury last fall that carried over into the winter, I was quite discouraged. One thing about training in Princeton, is that you are led to believe that you are only as good as your last workout. To some degree, this is true. And when you are injured, you feel completely out of the game. The Training Center can feel like and is at times, a dog-eat-dog environment. As one teammate appropriately describes it (and more specifically, describes selection), it can be a bit of a shark tank. Every day is a battle. The rules of war as well as your known allies and enemies are ever-changing. Get ready for The Hunger Games: Bloody Waters. In my short stint as a rower, I have quickly learned that rowing is absolutely and undeniably a team sport, but it is just as much about the individual. On the second day of when official team training started back up in Princeton this past September, I found out life would be changing very quickly (again). The women’s double sculls event was essentially being removed from the Training Center in Princeton. 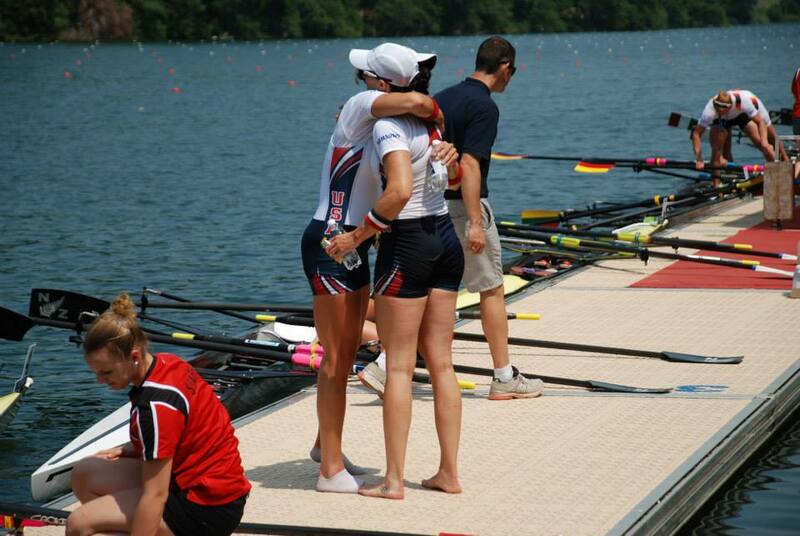 My partner from the 2013 season, Ellen Tomek and I had the choice to stay and sweep to contend for spots in the eight, quadruple sculls, pair or four. Or as we had previously decided, remain as a unit and try to develop the double; but in result, be forced to find a new training location. The reasoning? There would be no resources put toward the women’s double in Princeton, and therefore no opportunities to develop the boat if we were to remain there. I think it needs to be said that this wasn’t really a removal of resources; rather it was an admittance of the culture and structure of the Training Center in Princeton. What was previously hearsay would now be procedure. Over the past several years, separate from individual athletes or outside clubs, the double has never been a priority boat for the United States. Blog post to follow concerning that larger issue. At the beginning of 2013, I knew I wanted to race the double. I’m what I like to call a “pure” sculler, with very little sweep experience (having never rowed in college). 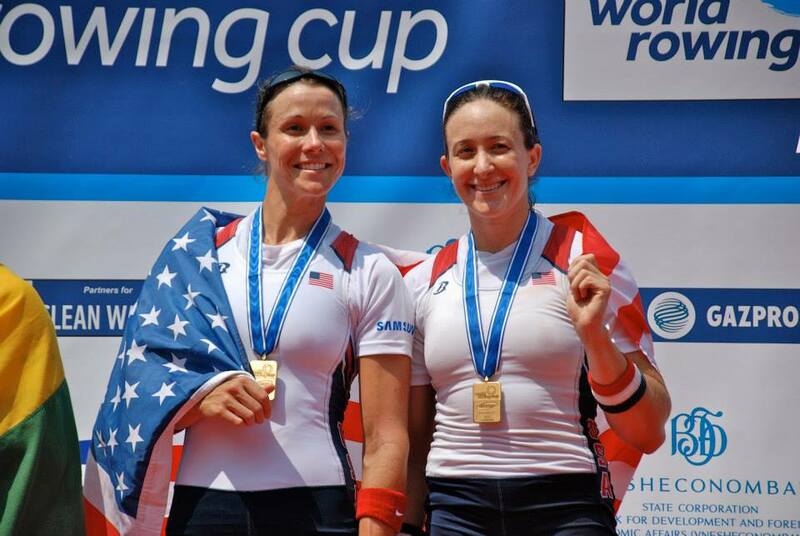 People often ask me, ‘why not go for the eight where you’re almost guaranteed a World Championship or Olympic gold medal at some point in your career?’ The women’s double has never brought home a World Championships or Olympic medal in the history of United States rowing. I guess you could say I like a challenge. What is that they say about the road less traveled? In the double, you are guaranteed to face some of the greatest rowers in the world, and that sounds pretty freaking awesome to me. I also like the double because of its unique dynamic. It’s just you and one other person. It’s a marriage of absolute trust in and devotion to the other person because without them, you’re not going very far. Literally and figuratively. You can’t fight against them without being punished. There is no right or wrong in the boat; you both will be right or you both will be wrong in order to truly succeed. And so I digress. Back to the point of all of this. 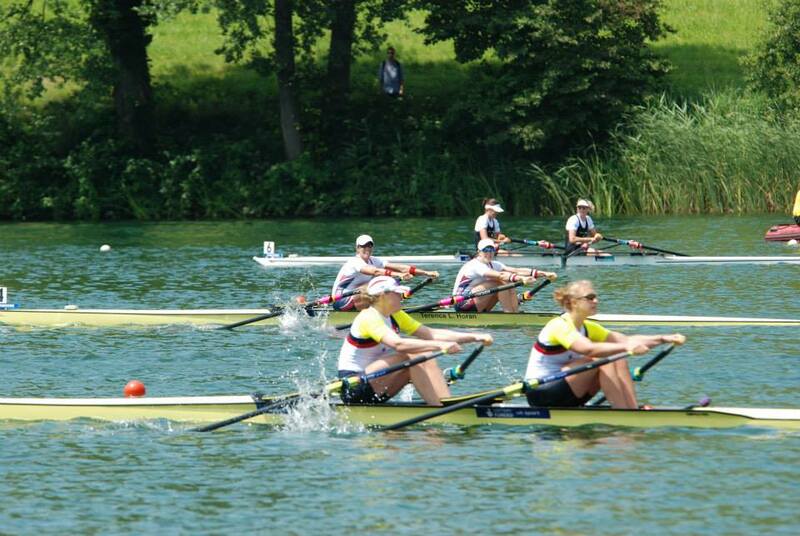 Ellen Tomek and I won the National Selection Regatta #2, won a bronze medal at World Cup III in Lucerne–much to the surprise of well, probably everybody–and then had a mediocre, 7th place performance at the World Championships in Korea. It was a disappointment. I’ve already gone into the reasons as to why I believe we underperformed in a previous post, but a significant one that is relevant to this is that we were not given any priority by our representative body, the USRowing Training Center – Princeton. I say this as a statement of fact, not as a criticism. I knew this going into making my choice to row the double. The United States is good at making a fast eight. Really good. We can throw together a boat full of rookies and set a new world record. We are beasts in the eight. The Princeton Training Center should and will continue focusing on the boats that can be developed successfully in a camp-like structure. The double on the other hand, requires a lot of time and development and along with that, a coach who can give that amount of time focusing on developing the boat. This is the primary reason for the removal of the boat from the Training Center. You look at the lineups of small boats that have stood on the medals podium and the majority of them have stuck together for years, building the boat over time. And behind them is a coach that has spent countless hours focused solely on them. It’s the same reason the top U.S. singles have trained independent of the Training Center. Specialty requires specialization. The smaller the boat, the more specialization required in order to be successful. Compare it to making a great quarterback or pitcher. 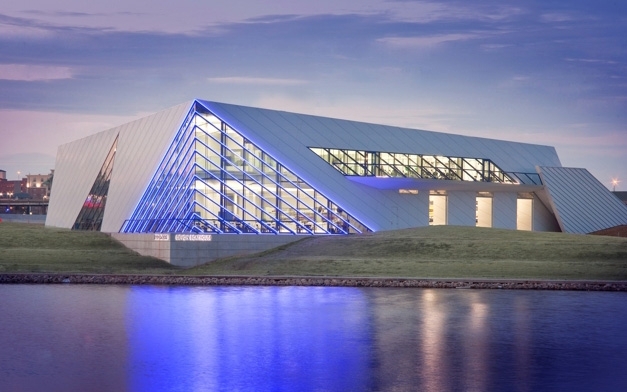 And so at the end of November, Ellen and I packed up our things and moved south to the Oklahoma City National High Performance Center. The months of September, October and November were a whirlwind of travel and decision-making all while trying to maintain a solid training regimen. Stress can be unbelievably damaging to training and a huge detriment to gaining speed. All we wanted to focus on was preparing ourselves for a solid 2014 season, not how we were going to move our lives 1,500 miles across the country. It wasn’t a flawless transition, but I think we handled it all fairly well and I’m happy to say we’re finally settling into our new home. Separate from the imminent chance of tornadoes, the freak ice and snowstorms, an earthquake, and the four scorpions I’ve already spotted, I think we’ve come to the right place. After the initial shock and oftentimes anger that change so often brings, this move has been a positive “reset” button. Though painful and difficult as it may be, you grow from positive and negative experiences alike. Now it’s time to focus on building something new, building something great. Gene! Always great to hear from you. Thanks for the comment and support 🙂 OKC is treating us well and we are full-steam ahead. Quote from Socrates is a good way, applicable to all areas in life. Hope all is well at ESPN! Have you two thought of training on the Rowperfect – as a double I’d say you and Ellie Logan could be trail blazers. Wonderful article. I love following your progress and I am very impressed !!! !